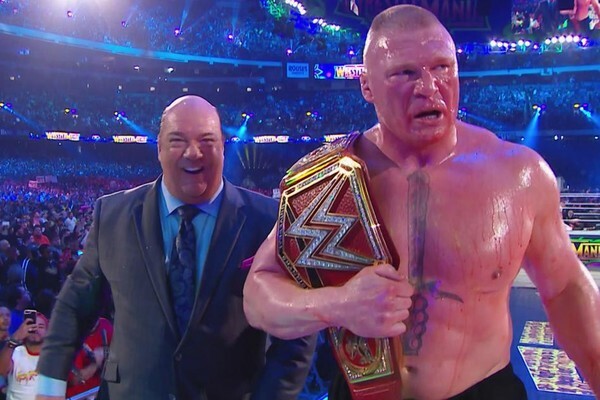 Pro Wrestling Sheet reports that they have confirmed with multiple sources that Brock Lesnar and Vince McMahon got into a real-life verbal altercation after WrestleMania 34. Details are still scarce, but we’re told Lesnar was livid when he returned to the backstage gorilla position and went off on the WWE Chairman … who was not happy about it. Sources tell Pro Wrestling Sheet the brief, but heated incident ended with Brock throwing the Universal Title belt — some say at Vince, some say at a wall — then walking away. No word yet on what set him off. Pro Wrestling Sheet was told there’s a belief that Brock may have gone off script a little bit near the end of the match, but they have not been unable to confirm if this is true.